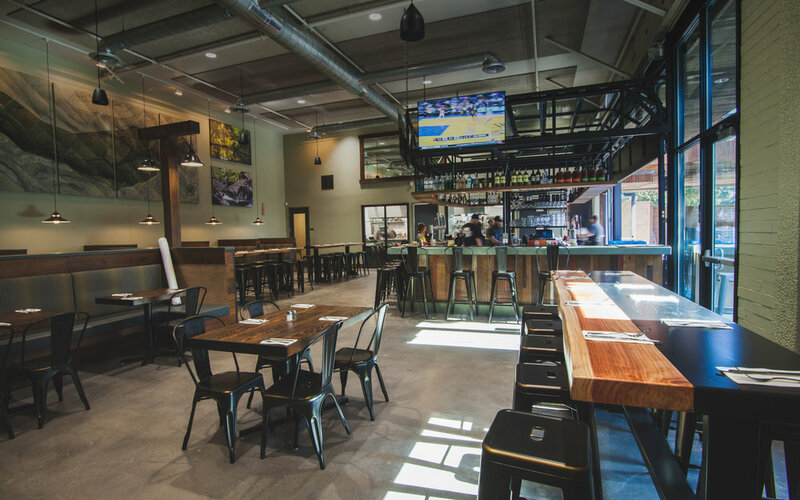 Located in Downtown Chico California, Parkside Tap House is a casual restaurant focused on offering quality food and beer. A fun, family friendly vibe open for lunch and dinner with a huge outdoor (dog friendly) patio big enough for outdoor games including, corn hole and giant jenga. Our glass roll up door opens the inside bar to the patio, so you’ll never feel like you’re missing out on the action. Made with seasonal and fresh ingredients our food can be described as creative comfort. A majority of our menu is designed to be shared, perfect for large groups looking to have a fun, casual lunch or dinner. As a beer focused restaurant, we offer 24 craft beers on tap so you’re sure to find the right beer for the occasion. We also have wine and a full liquor selection including a forever growing whiskey list along with a unique, seasonal cocktail menu should you be in the mood for something other than beer. Half Pound Certified Angus Beef patty, house made 1000 Island, American Cheese, Butter Lettuce, Tomato and Onion. Please note that prices and items are subject to change. Receive specials offers, learn about upcoming events and maybe we'll even give you a birthday gift.